Happy new year everyone! Welcome to 2017! I think we can all agree that 2016 was a pretty rough year for many and varied reasons: the loss of many many, talented people; one of the hugest cluster-shits in political history occurred and continues to occur; Harambe; numerous terrorist attacks; a movie about emojis. But this first day of 2017 promises a new start, and the potential for fun and exciting things to come. 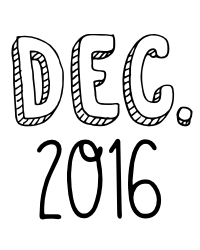 I’ll post a recap on the film things I enjoyed most throughout 2016 as a whole, but for now, here’s a selection of some things I enjoyed during the month of December. Unfortunately, I had the least amount of time in my entire blogging history to actually do any writing, or have a look at my WordPress reader, which was sad for me because I feel a bit out of the loop on a lot of things! But nevertheless, we shall power forward. 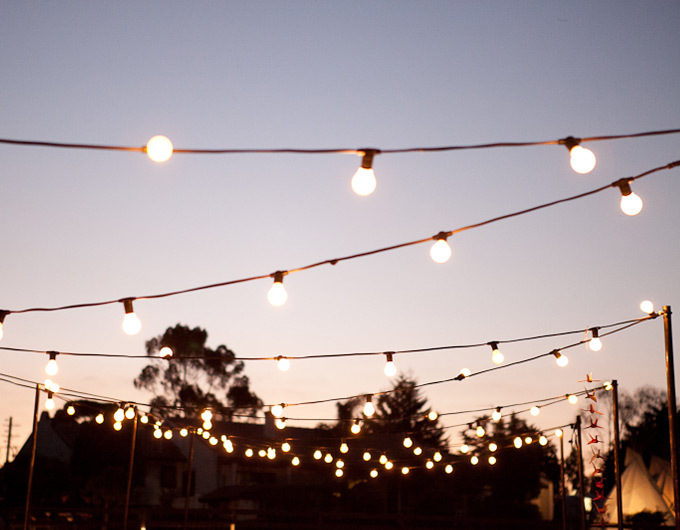 Without further ado, here are some of my favourite things from December. It was a tough road with my relatively poor posting frequency this year, but we got there in the end. I successfully covered (‘reviewed’ is possibly a bit of a stretch) all of the films on my Blindspot list for 2016. I didn’t think I’d get there, but with some stealthy watching and writing some sneaky bullet point reviews for the final four, it was achieved. Be on the lookout for a new Blindspot list for 2017, to be published soon! Myself and my buddies Cameron and Jeremy started a podcast! 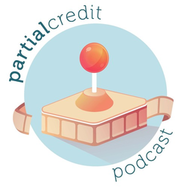 It’s called the Partial Credit Podcast and it’s a monthly podcast where we generally have a chat about exciting things in pop culture, such as video games, films, television, graphic novels, et cetera. Cameron and Jeremy are more about the video games and graphic novels than I am, but it’s a fun time. We’ve only just started, and episode three has just been released! Check out our Soundcloud to have a listen. But try not to laugh too much at our goofy Australian accents, or at my secret passion for Pokemon Go. It’s easier than I thought it would be! I’m really excited for April 2017. I feel the need to really hold back my excitement for the new Twin Peaks revival in 2017, but after watching the above teaser, I can barely contain my hype. Director David Lynch as FBI Regional Bureau Chief Gordon Cole just eating a donut and looking bewildered. That’s the teaser. I LOVE IT! It’s such typical Lynchian weirdness that I can almost feel myself trusting the show to be good. I can’t wait. Thanks heaps Curtis, hope you had a great new year’s celebration! 🙂 We’ve only recently started the podcast but it’s great fun! If you have the Soundcloud app on your phone, I believe you can listen from there. Hopefully we’ll be on iTunes soon-ish as well! I can’t express how much I love The Pianist. Rewatched it this year and still find it absolutely devastating. For me 2016 was a bit crazy in terms of movies. Started slow and many big blockbusters disappointed. But the final three or four months really perked up. In fact my Top 10 list is littered with films I discovered in the final months (and weeks). I enjoyed the amazing developmental leaps Little O made in December. He’s suddenly changed completely. It’s amazing how rapid and sudden it has been. I love it! 🙂 He’s such a gorgeous little nugget.